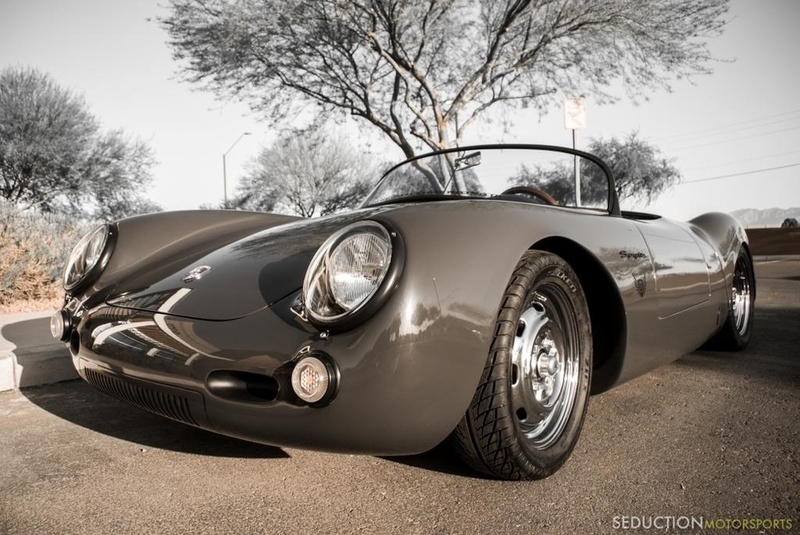 Up for sale is my 1955 Spyder built by Seduction Motorports. The car currently has 565 miles on it. You can tell a lot of love was put into this build by all the small details and hardware used. Since the original build the only things have changed is the exhaust has been upgraded to the Seduction Motorsports stainless steel setup, and the air filters have been changed to a shorter flat black set up. 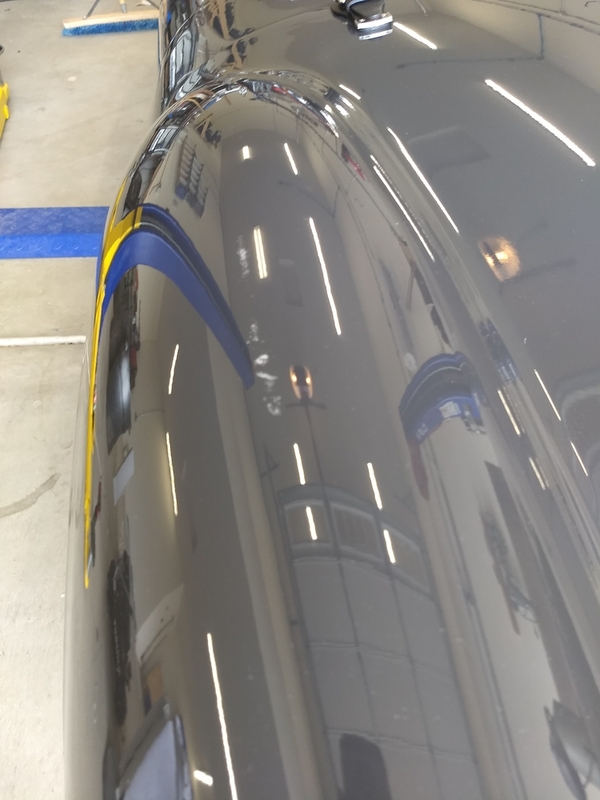 There is a small scratch on the drives side rear fender, and two spiders in the paint on the rear hatch. 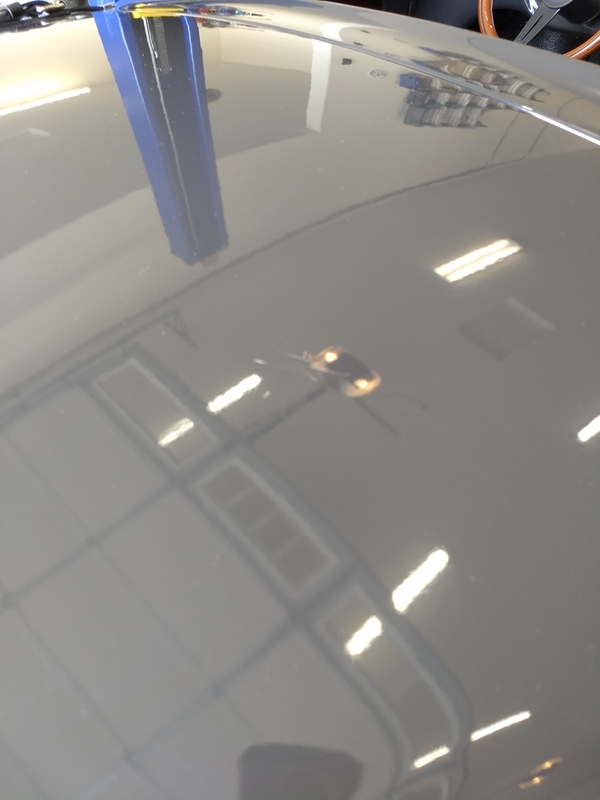 There were a few small paint chips that I had a local body shop repair and they did a fantastic job. Pictures have been included to try and show them. I have included the list of what was done to this car by Daniel and some original pictures from him. Car is located in Surprise, AZ. I will try to get some more updated pictures in the next day or so. If any request are wanted I can take pictures of that as well. 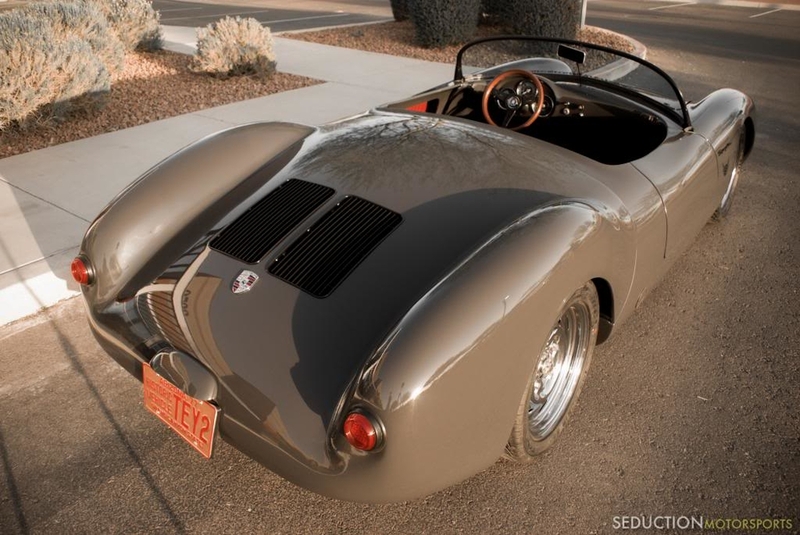 Hand laid fiberglass body bonded to a 3” DOM tubular steel chassis. 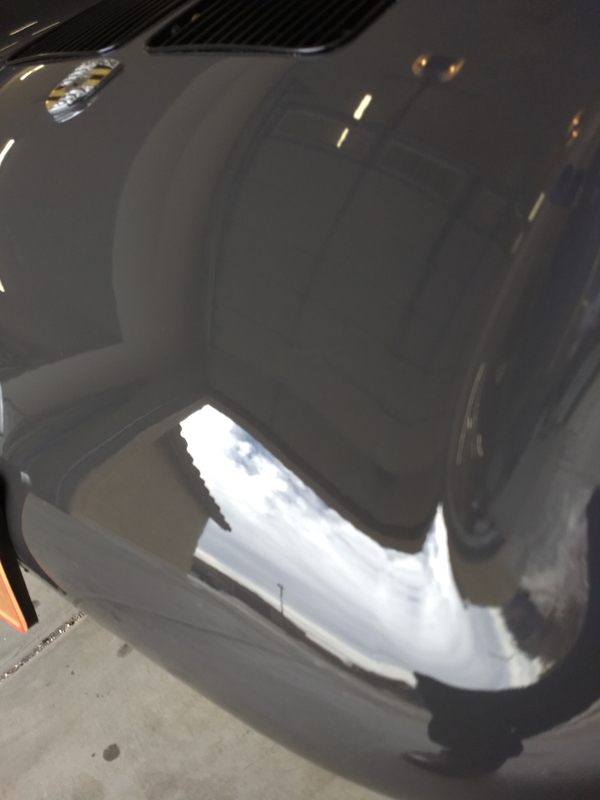 • Sanded to perfection with over 1,000 hours sanding & body work to endure perfect fitment & smooth surfaces. • Painted in Porsche GT3 RS Gray. 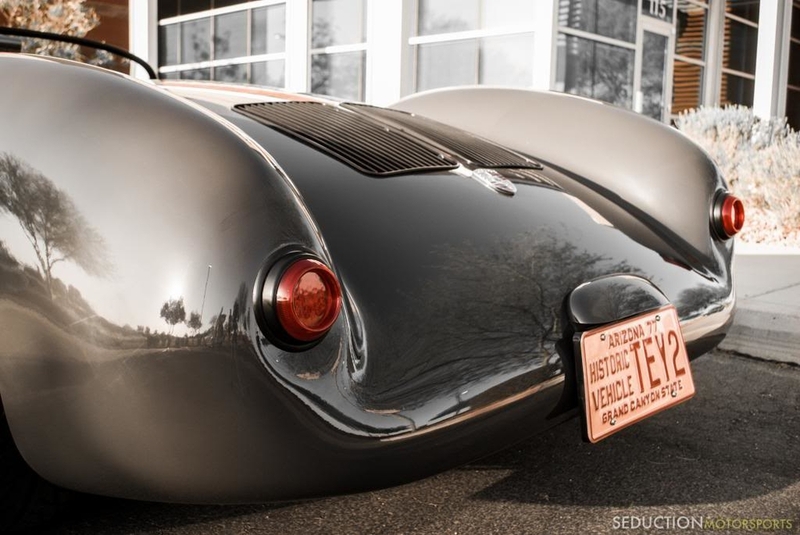 • Rear Porsche torsion caps were added to make servicing the rear torsion suspension a breeze. 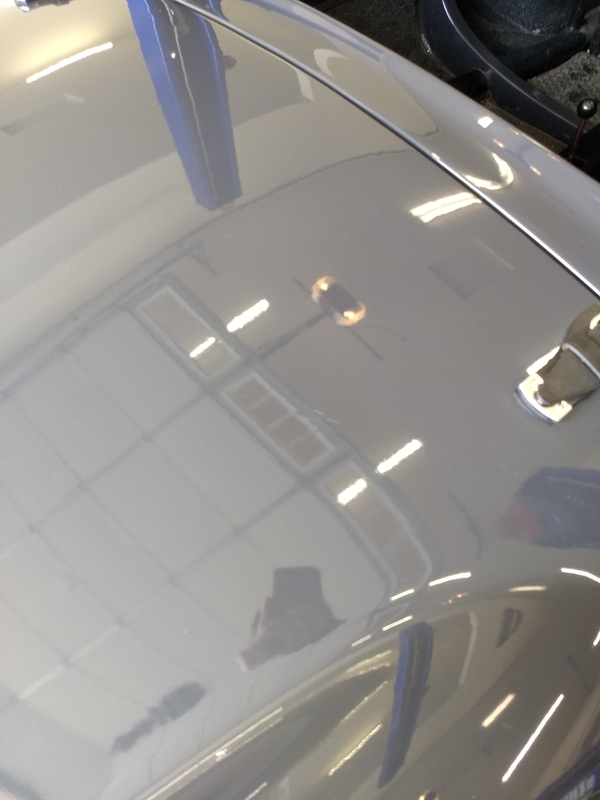 • Polished Grade 8/10 hardware used on vehicle, nothing less than quality. All bolts torqued to spec. • Powder coated satin black 550 windshield frame. 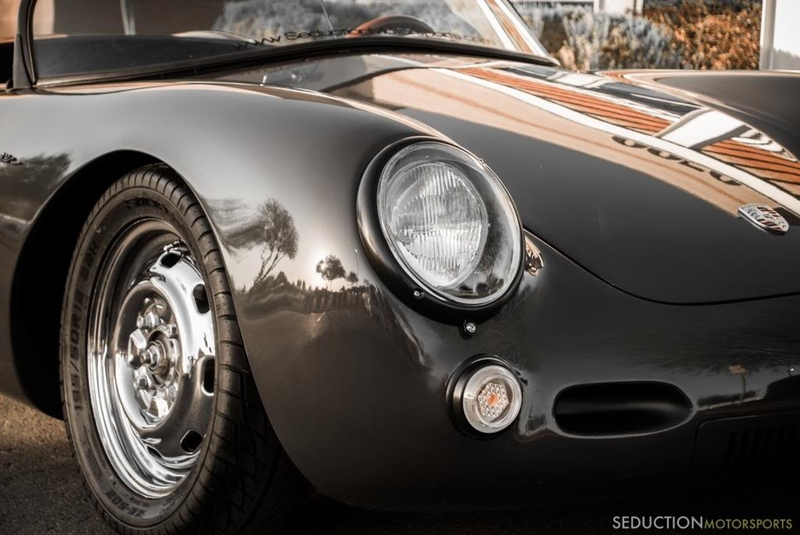 • Powder coated satin black headlight, turn signal, brake lights, trim rings/housings. Headlights are e-code European BOSCH H4 HID Conversion units w/cutoff pattern, Porsche OE spec 5,000K HID w/slim ballasts were installed. • White LED license plate bulbs. • Billet anodized black flush mount push-lock hood latches w/billet aluminum mounting cups. • Powder coated satin black “Spyder” badges & Silver Porsche emblems (rather than gold). 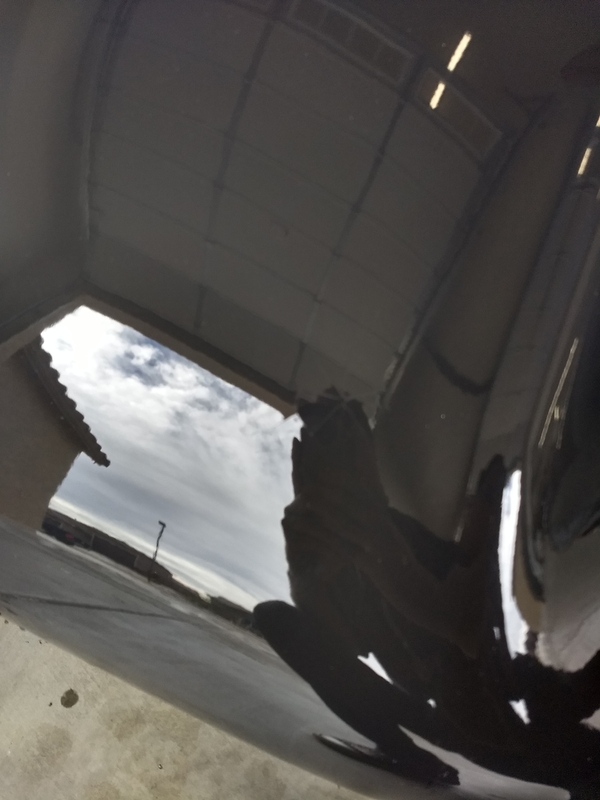 • Complete body was undercoated, wheel wells, under side of rear decklid, below carpet, and underneath entire vehicle to protect your investment. 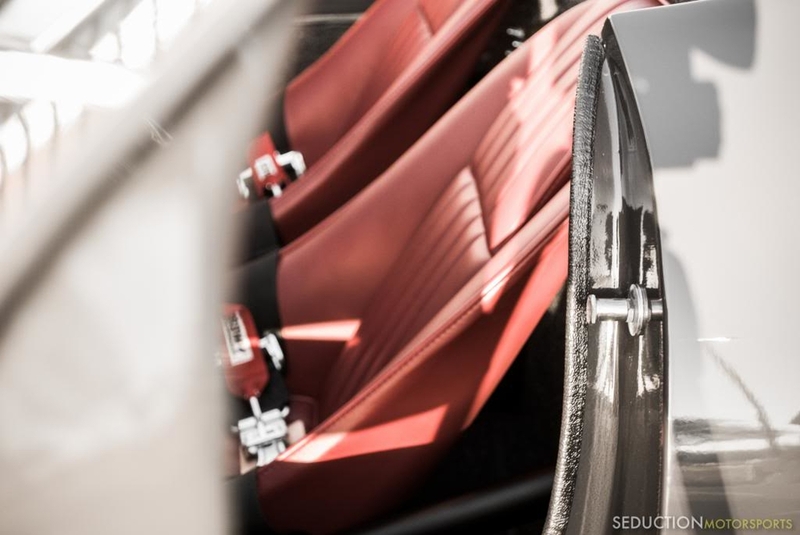 Imola red custom seats, aluminum seat mounting brackets. 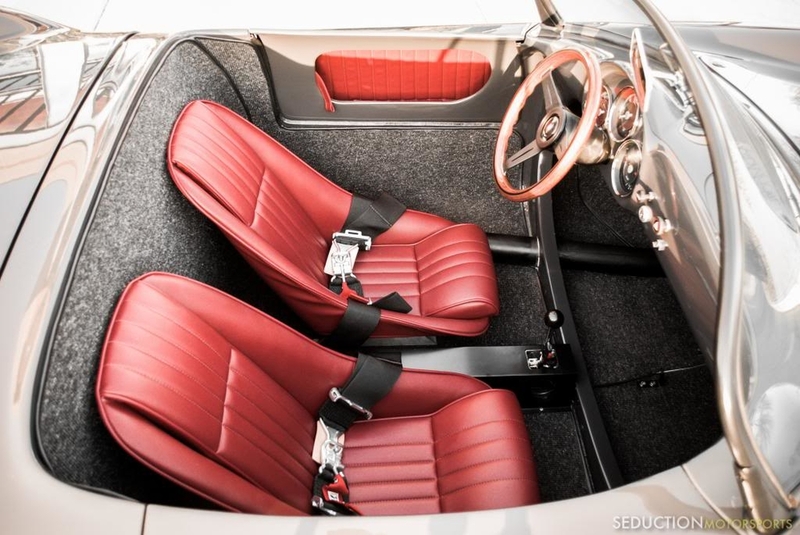 • Imola red Porsche door handle straps. • CROW 3” racing harnesses w/quick pull locking mechanisms. 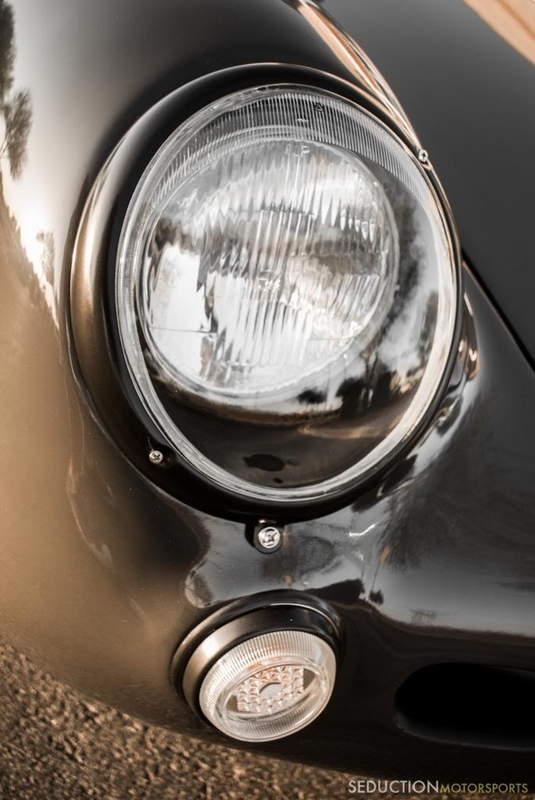 • Nardi Classic steering wheel w/satin black anodized spokes, Nardi signature on right spoke & Authenticity Serial Number on the back of the spokes. • Nardi steering wheel hub. 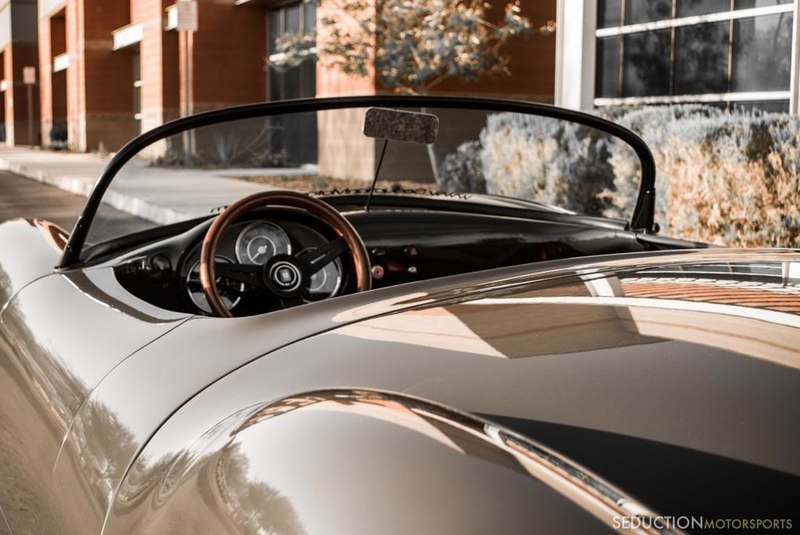 • Reproduction time correct Porsche 550 Spyder gauges. • Polished door striker plates/hardware. • Authentic German square weave Gray/Black carpet w/black edging. • Polished shifter w/black knob. 1776cc High Performance engine, 100% brand new parts used. • 4 speed VW Type 1 manual transaxle, 100% brand new parts used. • BOSCH performance oil filter used & recommended. • Gates Racing premium fuel line. • -3AN stainless steel hydraulic clutch lines w/polished fittings, coated in Smoked Black Transparent protective coating, D.O.T. approved. • MOTUL RBF 600 Racing clutch fluid. • MOTUL Racing Synthetic Motor Oil. • MOTUL Racing 300 Gear Oil. Mendeola fully-adjustable front A-Arm suspension, upper & lower tubular A-Arms were powder coated titanium gold. • FOX Racing front fully-adjustable coilovers bodies w/HyperCo springs powder coated black. • Mendeola front adjustable sway bar powder coated titanium gold. • Complete Energy Suspension front/rear polyurethane bushings throughout complete suspension setup. 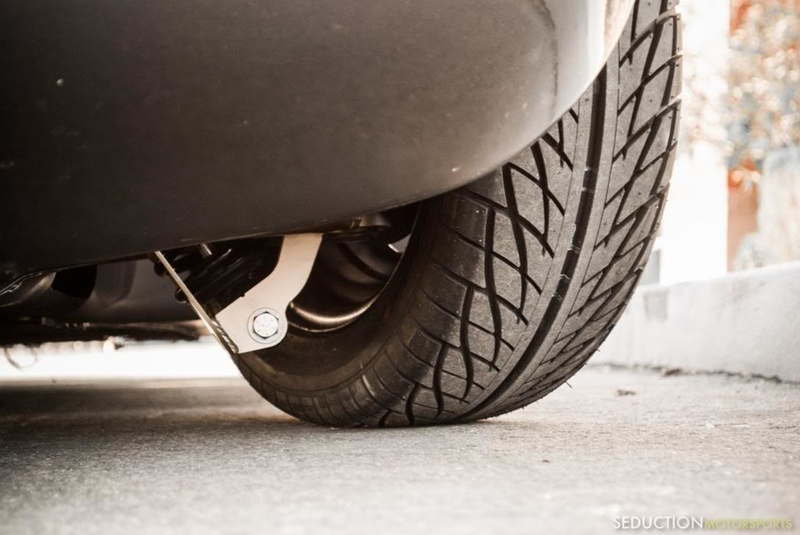 • Adjustable rear torsion suspension powder coated satin black. • Rear adjustable strut bar, powder coated satin black w/polished end-links. FALKEN 195/50 R15 ZE-502 Performance Tires mounted & balanced. • Polished staggard wheel setup, 5”x15” in front & 5.5”15” in rear. Wilwood Brakes performance triple pedal assembly. • Wilwood Brakes triple remote reservoir setup in front trunk. • Wilwood Brakes 2 lbs. residual valve installed. 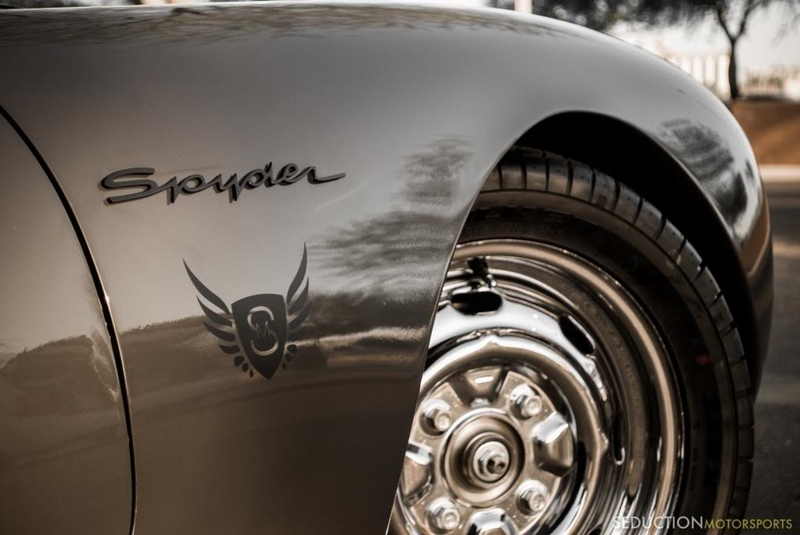 • 4 wheel disc brakes, front performance solid rotors, rear GT drilled rotors. • Wilwood Brakes Hi-Temp 570 degree racing brake fluid. 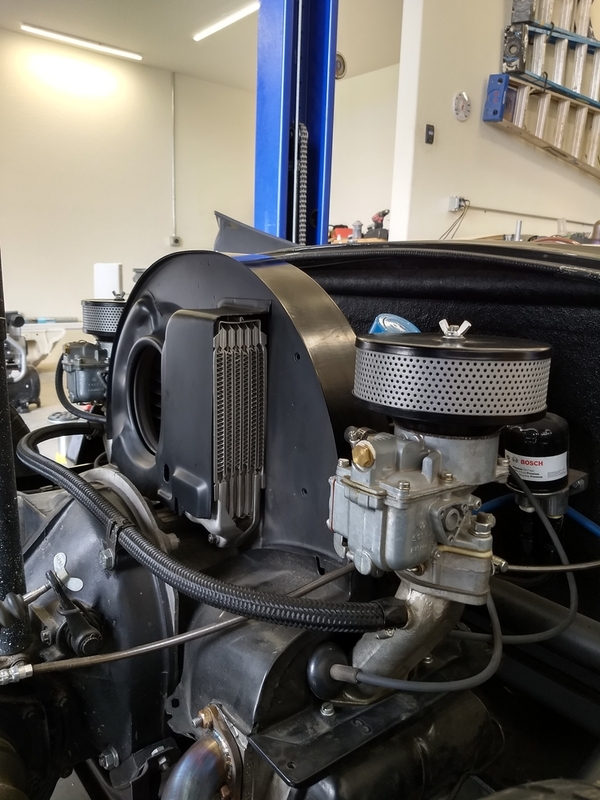 • Gates Racing premium high-temp remote reservoir lines. • -3AN stainless steel brake lines w/polished fittings, coated in Smoked Black Transparent protective coating, D.O.T. approved. • Seduction Motorsports powder coated satin black aluminum battery bracket w/billet hardware. • MilSpec Carrera Coachwerks complete wire harness w/Deutsche German wire connector plugs. • Seduction Motorsprots black braided wire harness in the rear/engine compartment. • Black braided stainless steel hoses on engine with black anodized fittings. • Seduction Motorsports remote oil filter relocation to ensure lower oil temps. Black braided stainless steel lines w/anodized black -AN fittings were installed. • 12-Volt accessory phone, GPS, or electronic charging station installed tucked out of sight under front dash. • Seduction Motorsports satin black powder coated center console with open dimples to expose polished shifter cables. • Seduction Motorsports satin black powder coated Navigator footrest. • Seduction Motorsports anodized black oversized billet gas cap. • HELLA Supertone Dual horns powder coated titanium gold. That is absolutely beautiful. I wish I had the funds as that price is unbelievably low. Very nice looking car and good luck with the sale. Any idea of the cam and heads (stock or bigger valves? porting work?)? Regular or premium gas? How high does it rev with power? 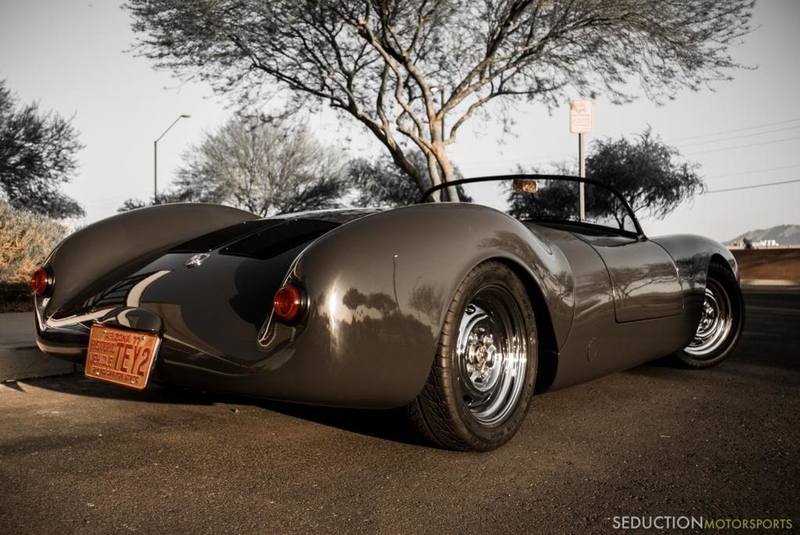 Sebring style exhaust? Oh- and 1 more question- I know it's possible to build a 100% new aircooled VW engine from scratch and you can rebuild a VW transaxle with all new new bearings, syncros, gears, mainshaft, ring&pinion (and some other parts), I'm under the impression there's a lot of trans parts that are no longer available and that you still need a core to start with. Where do you get a 100% new transaxle assembly? as far as I know its stock cam and heads. I have only run it on premium but I am sure it would be fine on normal. this is the exhaust that is on it. as far as the trans axle goes I directly copied all the info from Seduction Motorsports when they original sold the car. If you don't definitively know what camshaft and heads (including combustion chamber size and deck height) were used, or the compression ratio, unless someone at Seduction has advised you it's set up to run on regular fuel please don't make that statement, as you could be setting the new owner up for a melted down engine shortly after taking possession. And if it does run fine on regular there's no point putting more expensive gas in it. 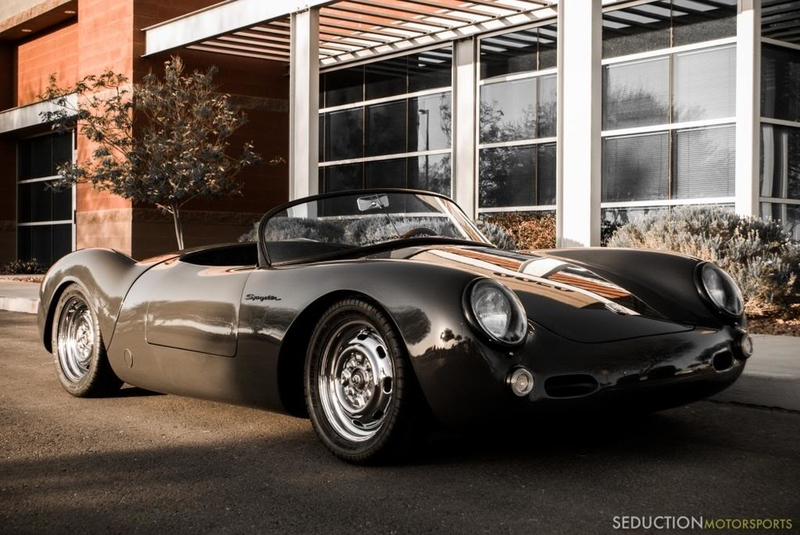 That is one beautiful Spyder! out to the wheel bearing. This is the trans for the Subaru powered Replica car. ...I know it's possible to build a 100% new aircooled VW engine from scratch and you can rebuild a VW transaxle with all new new bearings, syncros, gears, mainshaft, ring&pinion (and some other parts), I'm under the impression there's a lot of trans parts that are no longer available and that you still need a core to start with. Where do you get a 100% new transaxle assembly? 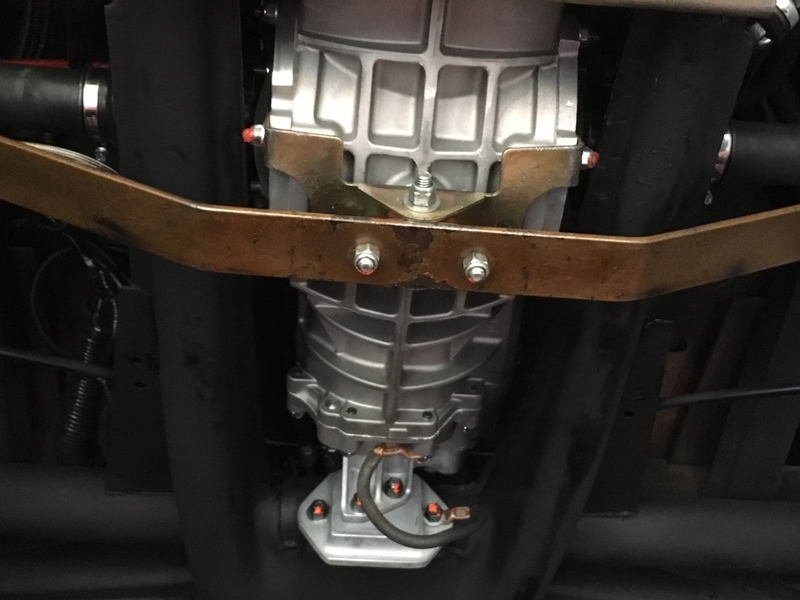 @Jimmy V. said- "I am not 100% sure but Rancho builds transaxles with their Rhino cases which are super beefed up replacements for the type 1 transaxle. They also us new Weddle gears and synchro's . I just don't know about the other internal parts like the shafts." Yeah, I realize all that; for the most part it's all the little parts that come out of cores that are needed. I'd guess that Rancho does the most volume in VW trans builds and is the biggest buyer of cores in the U.S.A. Even in a completely custom geared trans such as yours there are all sorts of used parts in it- heck, even the gear carrier (the middle magnesium casting that holds the gearstack) is used (and worn gear selector shaft holes rebushed as needed), as no one sells new ones (someone please correct me if I'm wrong). PS- Jimmy- do you have a pic of your Rhino trans case with the gusset welded on? I can't see it in the pic and didn't think it was possible to use a camber compensator with a gusseted case. My compensator mount has legs on it that drop it down approx. 1/2" from the bottom of the case, this allows room, however I couldn't use the trans straps I had been using on my stock type 1 transaxle. The Shape of the Rhino case is different and larger the a stock transaxle. So this one was built on a Thunder Ranch kit instead of a Vintage kit? 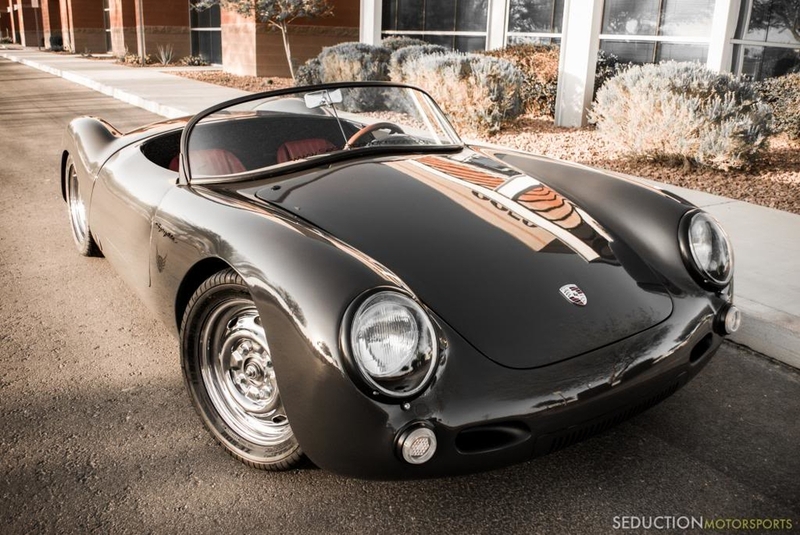 It was built from a Carrera Coachwerks which I think was a part of Thunder Ranch. I am sure one of the experts on here would know better then I do and can chime in. Here is a link that shows that. What I can see of the frame and door openings look like my car, which is a TR kit shipped around 2009. 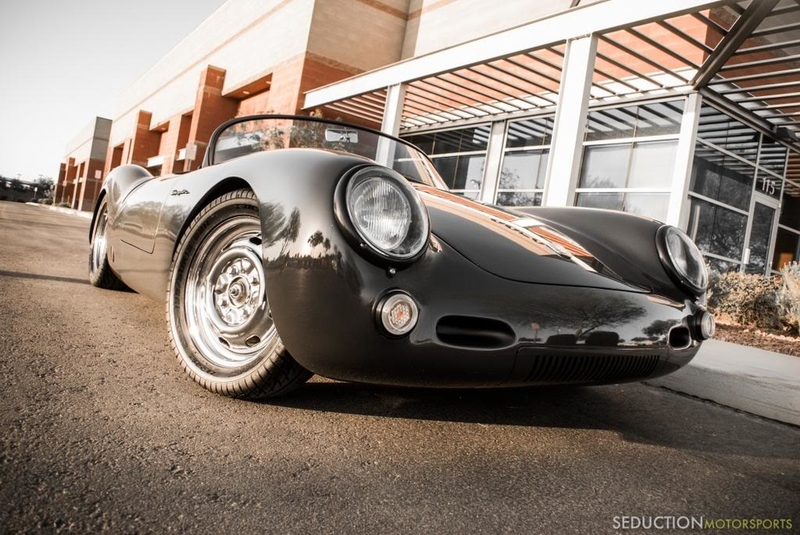 Vintage frames are very different and I think (Carey will correct me if I'm wrong) the more recent Becks have the door pocket shape ovaled instead of squared off on the rearward side. Direct from the horses mouth. Congratulations. Now on to the next project.